Our new Weekender soft top boards are perfect for any application. Whether you need a board for the cabin, rental, yoga, adults, kids this is your answer! 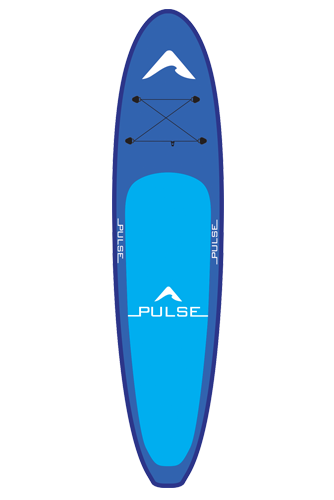 With multiple size options this extremely durable, stable and stiff board will take the abuse and also perform great for any size paddler. It has 2 x 6oz and a 4oz layer of fibreglass/epoxy wrap on top and a 6oz and 4oz fibreglass/epoxy wrap on bottom with a comfortable full IXPE foam top and a durable HDPE ( high density polyethylene) bottom. Add in the durable EVA side rails and this board will provide everything you need in a paddle board without breaking the bank!